Hello my pretty people! How was your week? Well guess what? 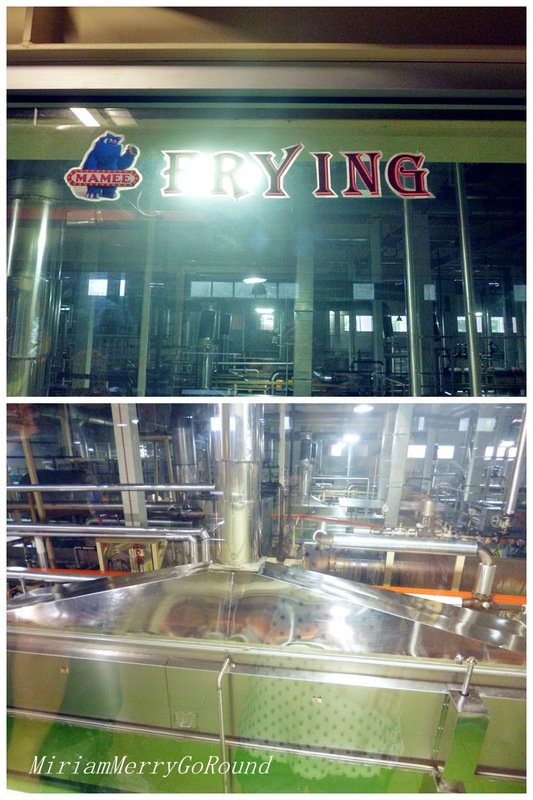 Thanks to Nuffnang and Mamee I had the chance to be one of the very first people to actually enter their production area and get a close look of how my favourite instant noodles were produced! 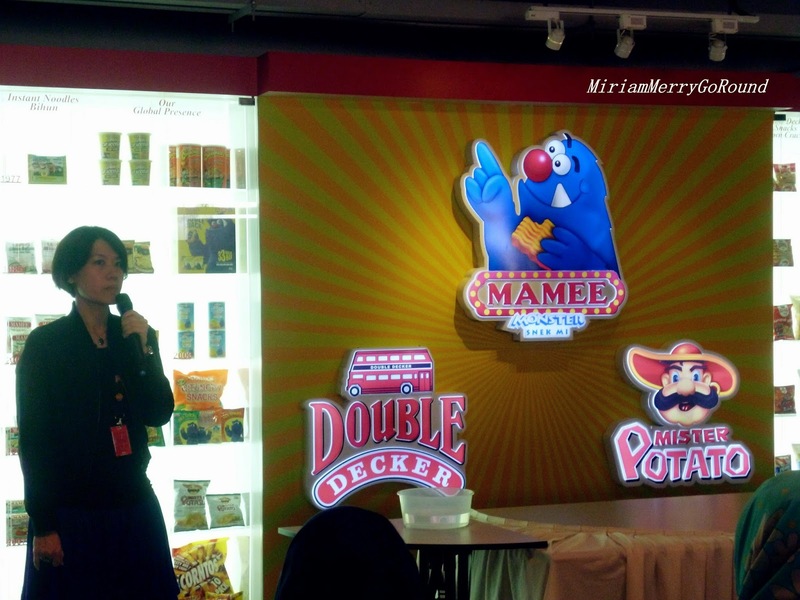 Firstly, let me give you a rundown on Mamee Double Decker! 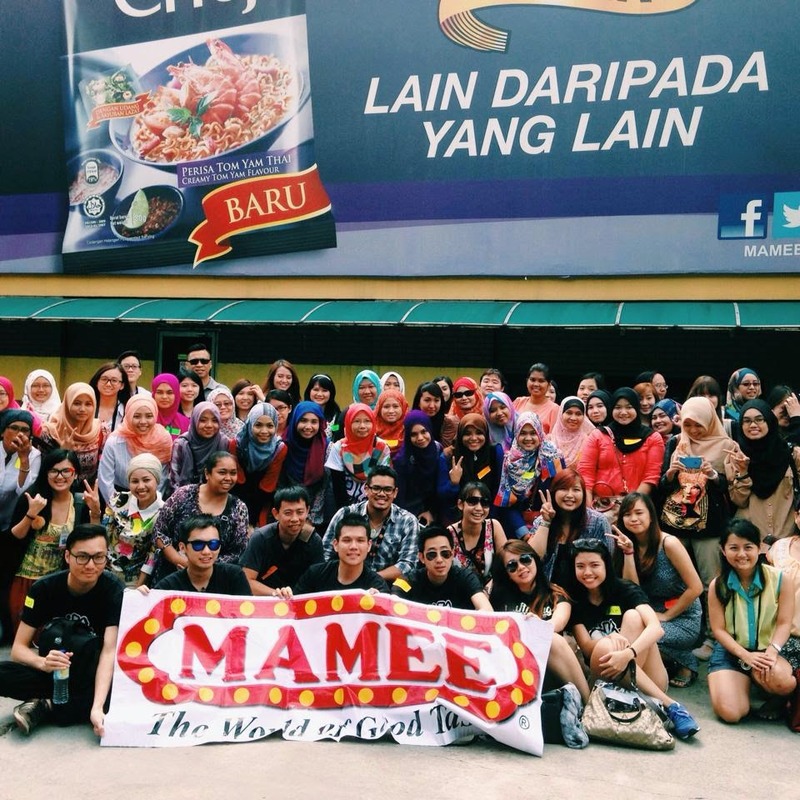 Did you know that mamee Double Decker holds 4.2 million households and that they actually spend RM 80 million to invest on the machinery to imitate the La Mien technique to make better and springier noodles which gives Mamee Chef that awesome texture? They are also the Putra Brand Awards Bronze Reciepient 2014 under the Food Stuff Category as well as the Frost and Sullivan Malaysia Excellence Award. My Saturday started off by waking up super early at 6 am to get ready for a fun-filled day at Malacca! The boyfie fetched me to the meet up point which is Mamee Double Decker (M) Berhad at Persiaran Subang Indah. 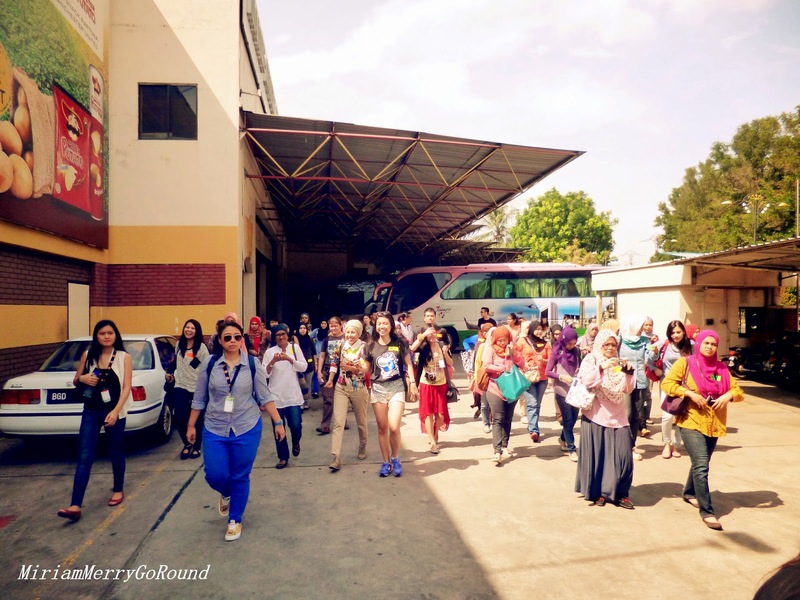 The meet-up time was 7.30am since the bus was supposed to leave at 8am! Since it was my first event from Nuffnang I did not want to be late. Reaching the meet-up point, I met many people at the lobby registering themselves and we were divided into four groups: Sunset Orange, Green Apple, Yellow Banana, Pink Cherry! I was in group Orange! I also met Sherry and Jane as well as new friends Sherry Chang and Shannie! I was placed in the same group with Shannie and she was my bus partner! I realized that I was not the only participant who got lost on the way to the meetup point. 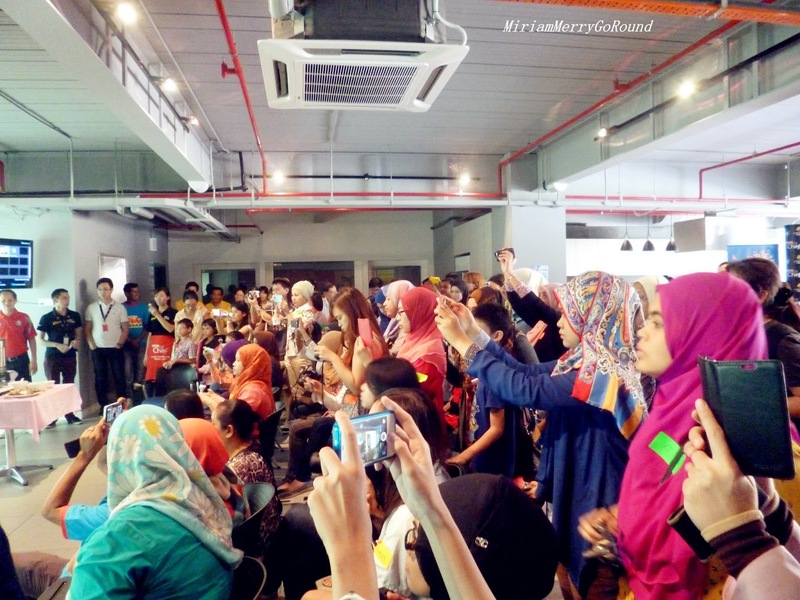 There were several others who were lost as well and after everyone arrived, we took off to Mamee Factory, Malacca at 9am. 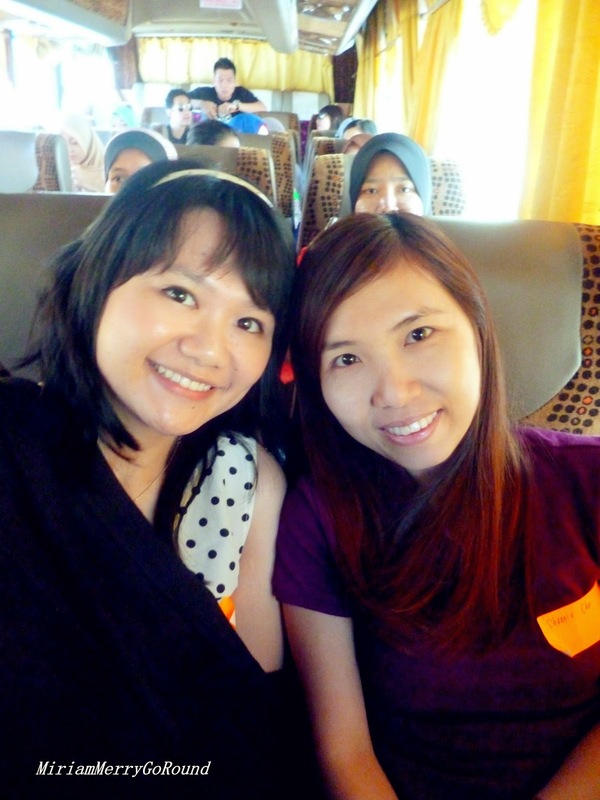 The journey to Malacca actually takes around 1 to 2 hours depending on the traffic. Do you know what complements long trips well? Of course some snacks and movies to make the journey fun! 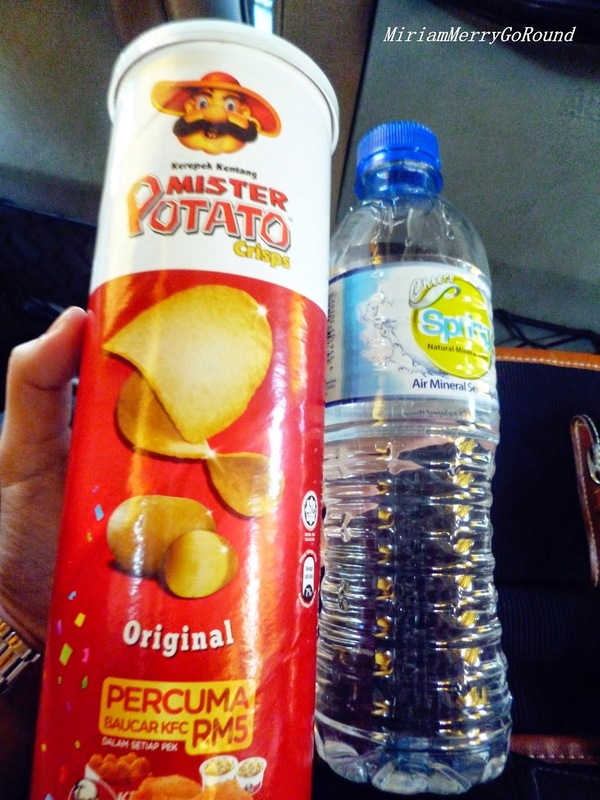 Love munching on Mister Potato especially since it is not too salty and oily! We watched The Hobbit: The Desolation of Smaug on the way to Malacca which is great since I haven’t had the time to watch this movie yet. Everyone came down the bus stretching after that long journey! The factory was huge and everyone couldn’t wait to get into the building. But wait…. We need to take some group photos first! Right in front of the big Mamee Monster mascot. So now it is time to enter! We were given a short introduction to Mamee’s representative who shared with us their corporate video. Guess who was their guest of honor in the video? The Ramen Rater! Mamee Chef is the collaboration with Dato’ Chef Ismail who is well known for his expertise in Malay cuisine and he has teamed with Mamee Double Decker to create the original recipe and flavor that represents Malaysia! The paste is co-created with Chef Ismail and made with fresh ingredients of herbs and spices. Each packet of Mamee Chef comes with a pre-packed condiment to give it an even better taste and each Mamee Chef flavor has different condiments such as prawns, tofu, shiitake mushrooms and vegetables. 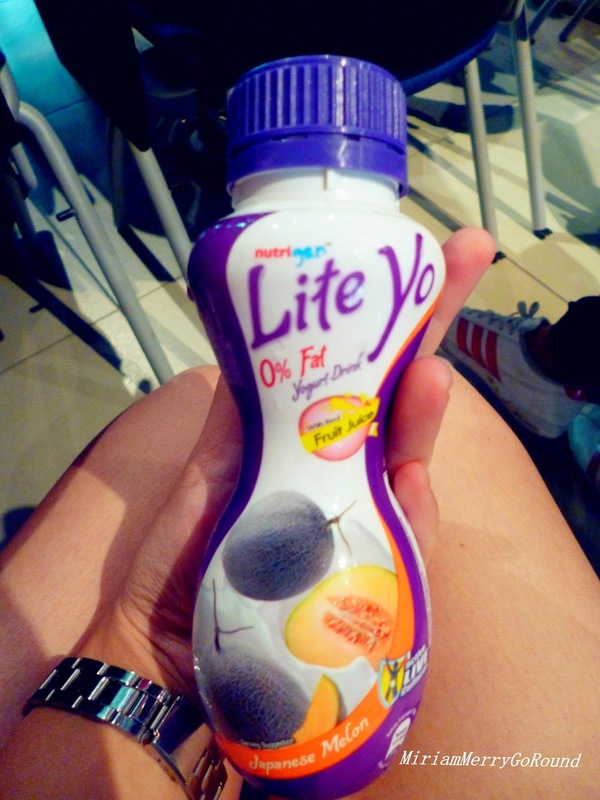 While we were listening to the introduction by the Marketing Manager, we were served with Lite Yo! We were also in for another surprise where we were able to watch a live demonstration by the Chef from China for her noodle pulling techniques or also known as ‘La Mien’. This technique is used to produce the Mamee Chef instant noodles and give it its unique texture. Don’t be fooled by the photos! It is not that easy to make so uniform and thin strands of noodles by just pulling and re-kneading the dough! You need years of experience before you are able to produce these beautiful strands of noodles. 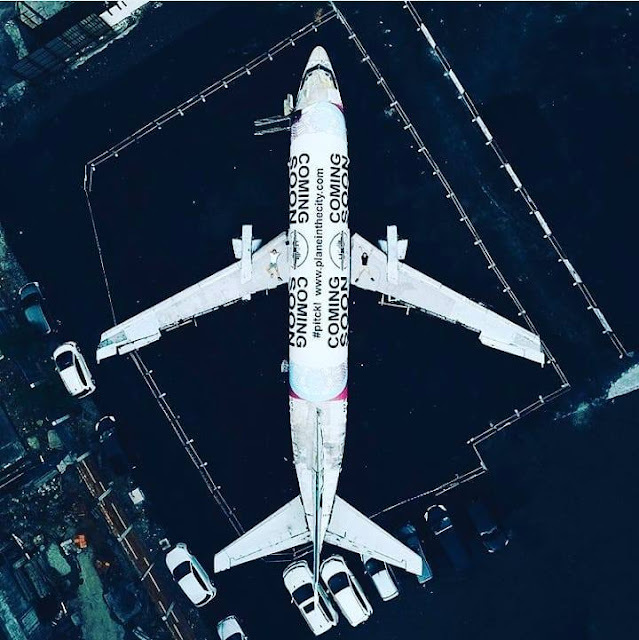 Curious how the final product turned out? 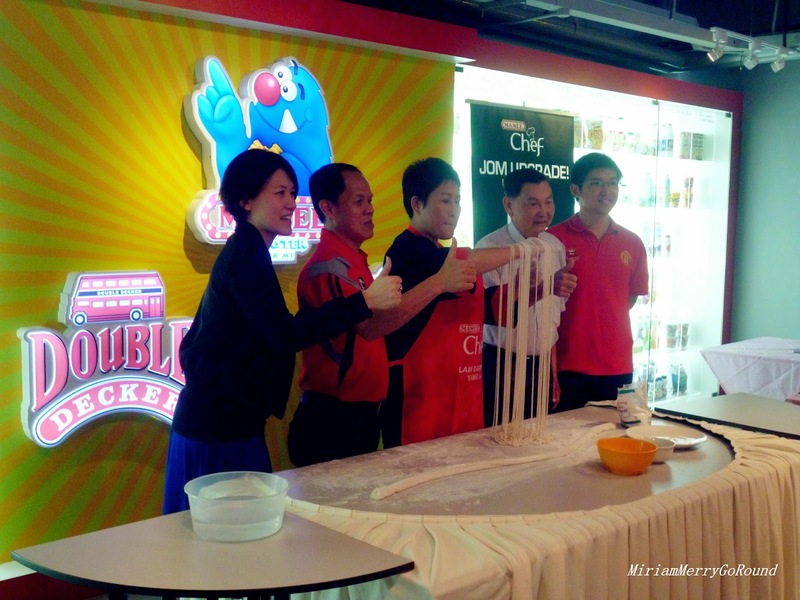 See how fine each strand of noodle turned out to be! 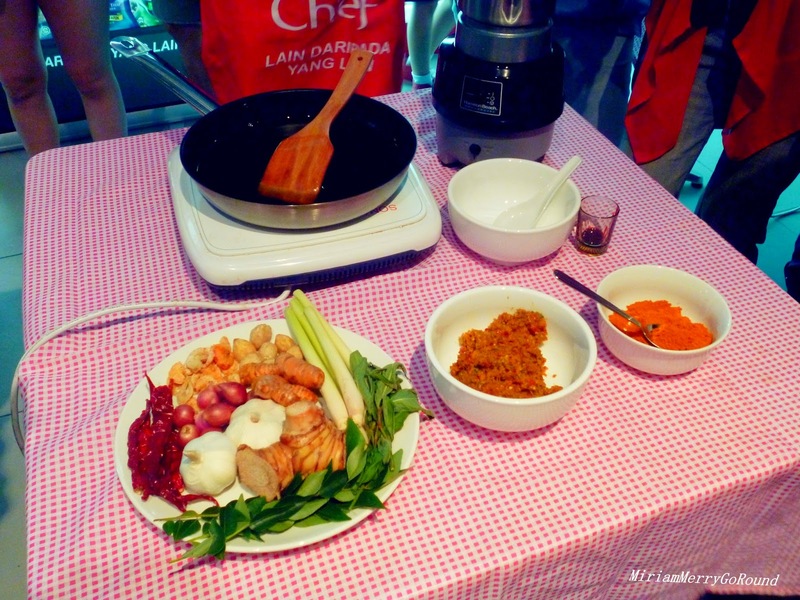 Would really love to learn how to make this noodles and I can be a pro noodle-chef too! But hold your horses! The Mamee Chef is not tasty just because of their noodles. We are still missing one more element to make those yummy noodles! 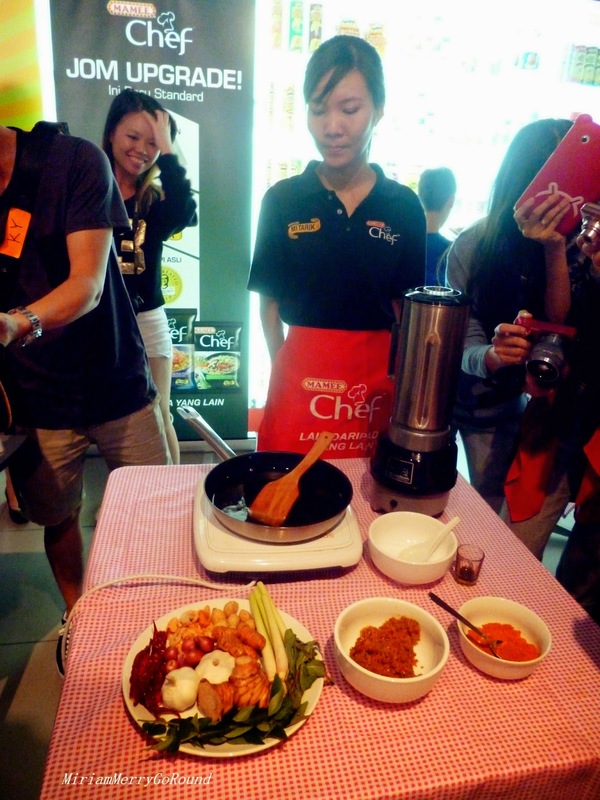 Next June from R&D showed us how she cook the condiments and paste for Mamee Chef Curry Laksa. Everyone was crowding around the front area to capture the best photo and also we were so enticed with the aroma coming from the paste prepared by June. Our tummies were practically rumbling from that aroma and we were so glad when Mamee said that they have prepared some refreshments for us to enjoy! Thank you so much for the yummy refreshments especially the ondeh-ondeh! So craving for the ondeh-ondeh now. It was the biggest ondeh-ondeh I have eaten and not too sweet from the gula Melaka. Remember when that I mentioned we were divided into four groups? 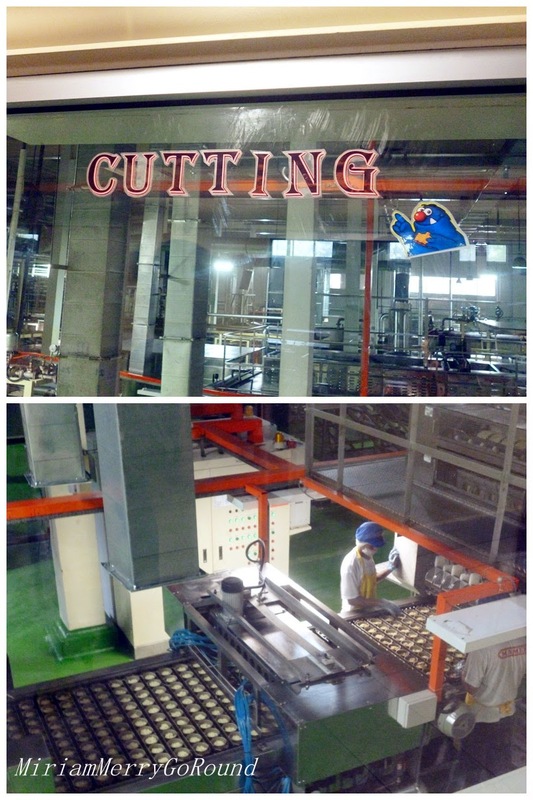 Well my team, Team Orange was the first group to enter the factory area and witness with our own eyes how the production for Mamee Instant Noodles and Mamee Monster Snacks were produced! 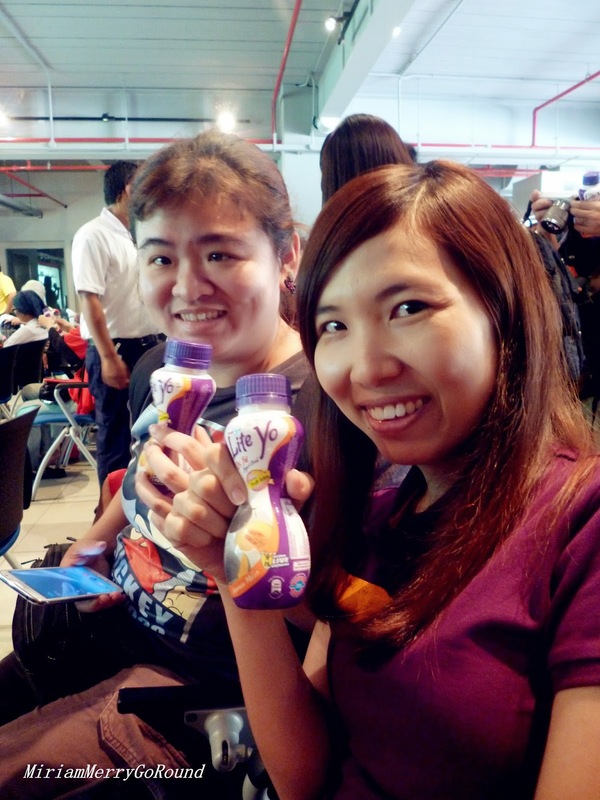 So we quickly gobbled up our refreshment and stood in line to enter the factory! 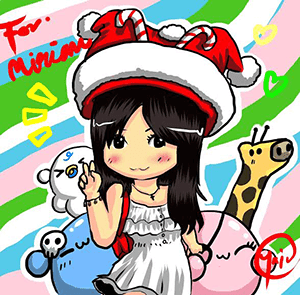 Now, are you ready to witness the production inside Mamee factory? Do take note that Mamee has never allowed the public to have a tour of their factory and cameras are not allowed in the factory. 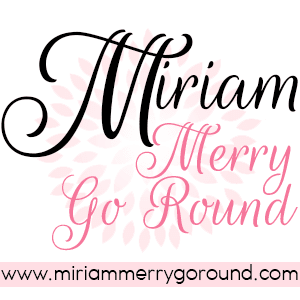 However, I had the opportunity to take tons of photos to share with all you pretty readers! Let’s begin with the cup/noodle line! Firstly, MIXING. 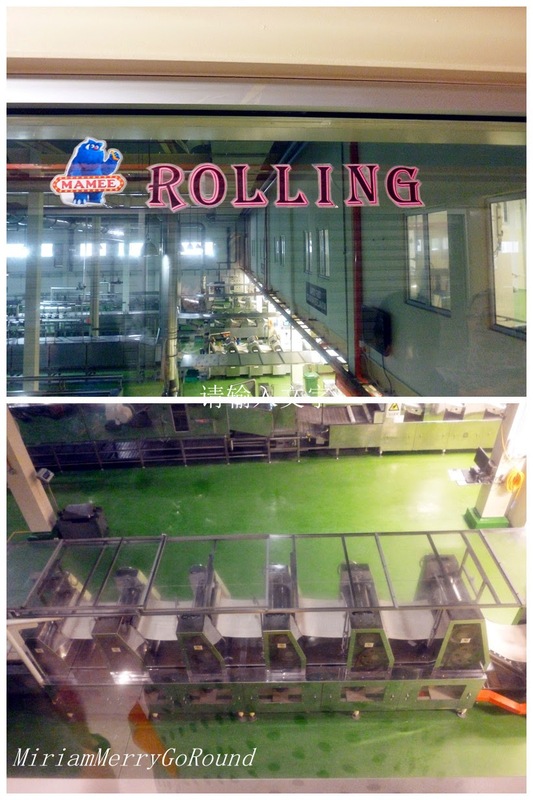 The flour are mixed and sieved using machines which have metal detectors and magnets as well. The metal detector and magnets are used to ensure that there are no metal contaminants in the flour which will cause harm to consumers. 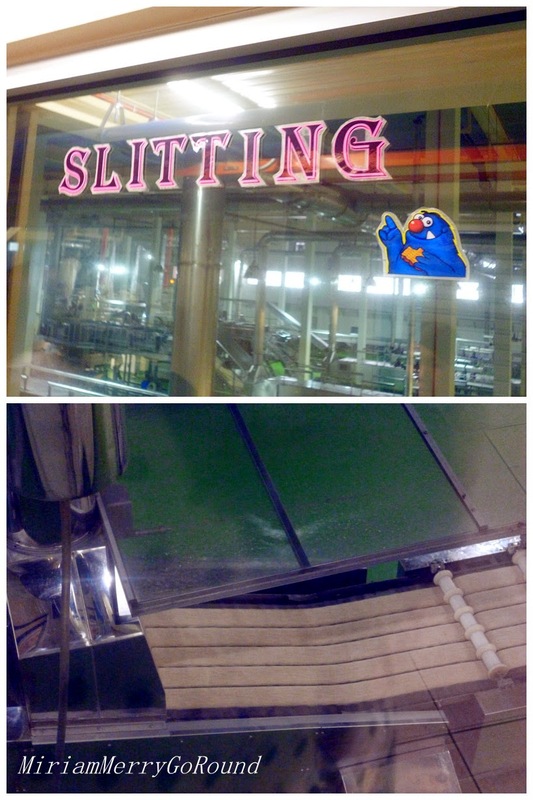 Besides that, they sieve their flour to remove any lumps of flour that will affect the quality of their product. Next step is ROLLING. The dough mixture is now rolled using rollers to flatten the dough and also to achieve that pulled noodle texture. Can you see how thin the sheet of dough becomes after being rolled several times? After flattening and rolling the dough it is time for SLITTING. The dough is then slit into the specific size and transported on the conveyer belt to the next process which is STEAMING the noodles. Steaming process is used to pre-cook the dough before it is baked/fried under high temperature to give it that crispy texture and to reduce the water activity to prevent it from spoiling. Steaming the dough is also to improve the texture by gelatinizing the starch in the dough. The dough is steamed at 100 degree Celcius! For the Mamee Monster Snack, all the processes are the same until this stage where the snack noodles are drenched with chicken soup to give flavor to the snack! It’s like taking a shower with chicken soup. The noodles at fried and cooled immediately before they are packed. The noodles are cooled immediately to retain the texture from frying the noodles and also to make sure that the noodles are cooled completely before packaging. 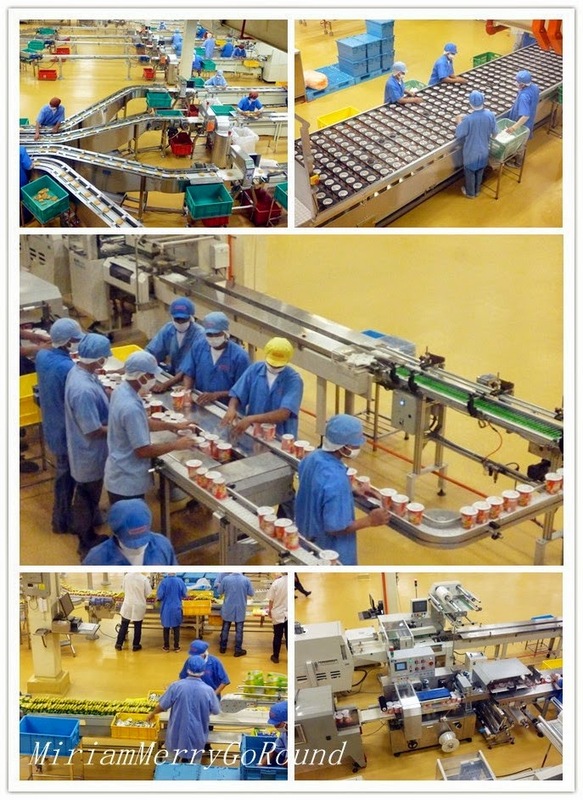 So many workers are involved in packaging all the noodles processed. 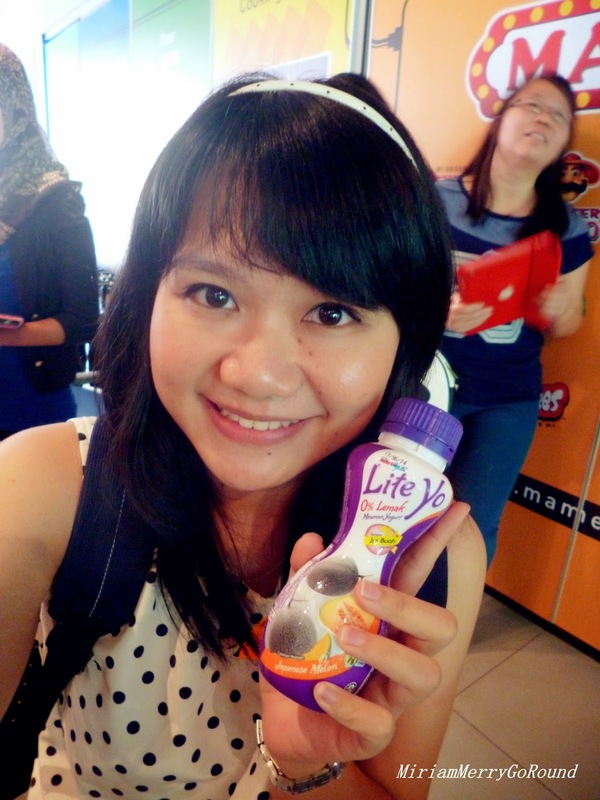 After packaging into their respective packets, they are then packed into cartons to distribute all over Malaysia! And there you have it! 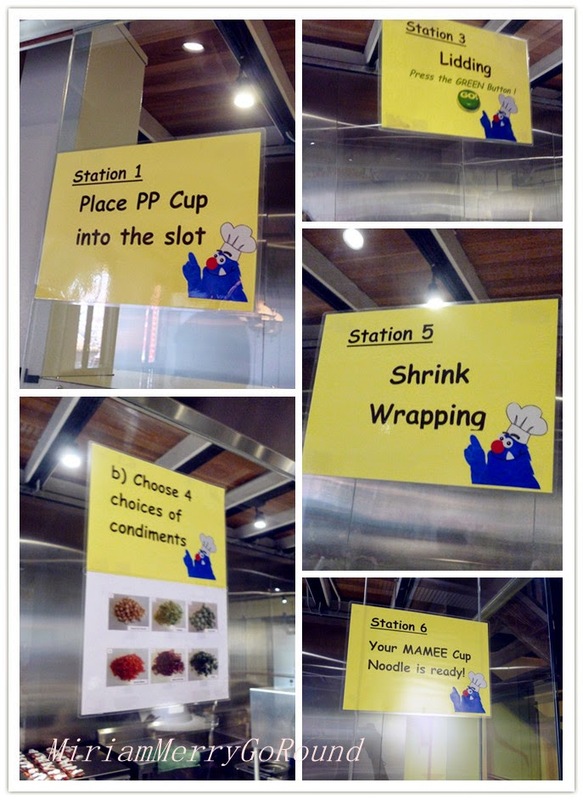 All the processes needed to make that tasty packet of Mamee noodles and Mamee Monster Snacks! 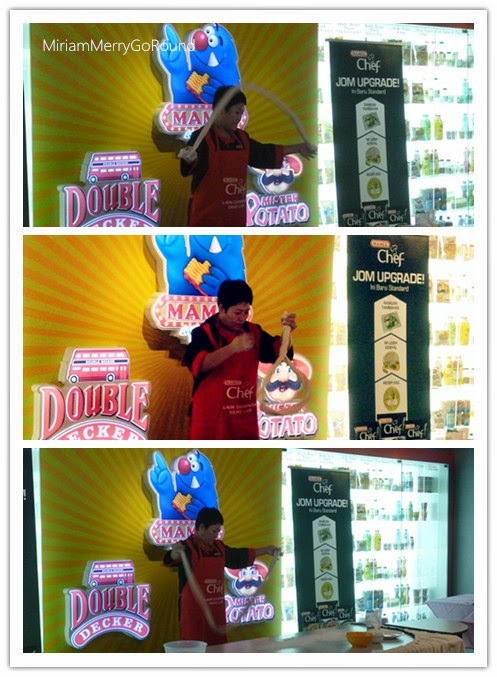 Mamee Double Decker is also certified with the major certification needed for food processing. So no worries about their product! They are certified safe. 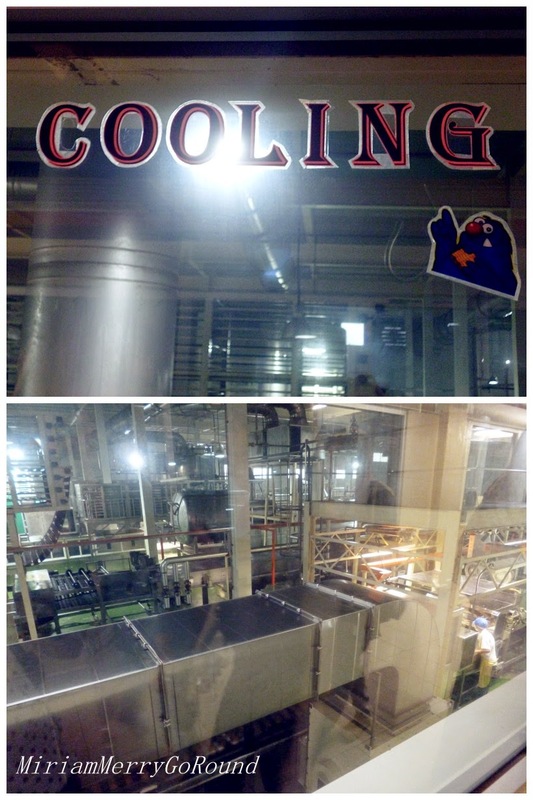 After the factory tour, we were served with yummy food again prepared by Mamee Double Decker. They served us tennis ball-sized chicken rice ball! It was super tasty and I was wondering where they bought it from. Curious? Read on to find out more! 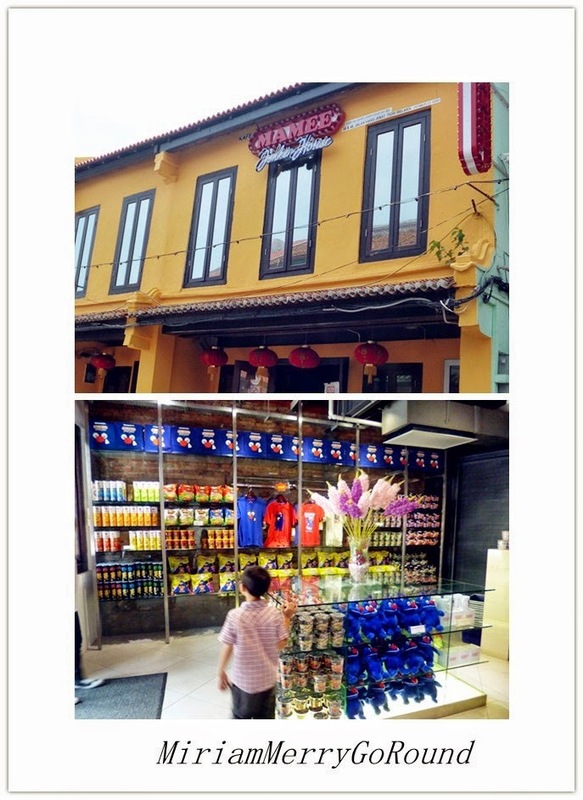 After our lunch we were bought to Mamee Jonker House at Jonker Street! It was my first time visiting the Mamee Jonker House and did you know that Mamee Jonker House is carefully renovated using the old historical building at Jonker Street? The interior and outerior of the Mamee Jonker House is the same but they just strengthened the structure so don’t worry! 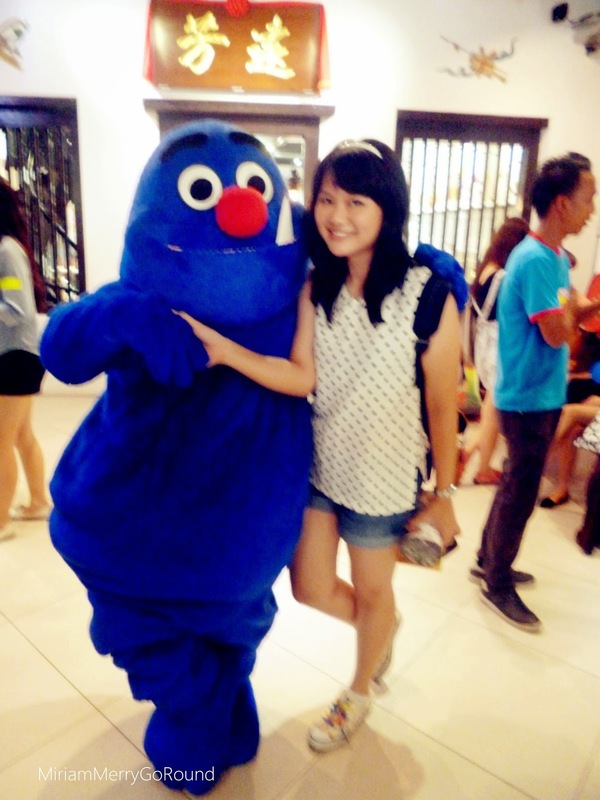 Guess who I met at Mamee Jonker House? 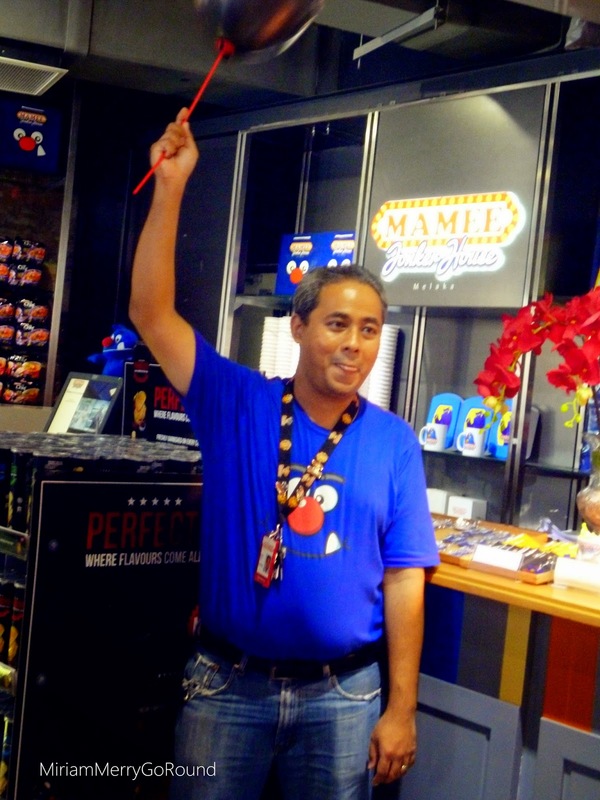 We were welcomed with an array of Mamee Double Decker Products as well as…Mr Mamee Monster himself! 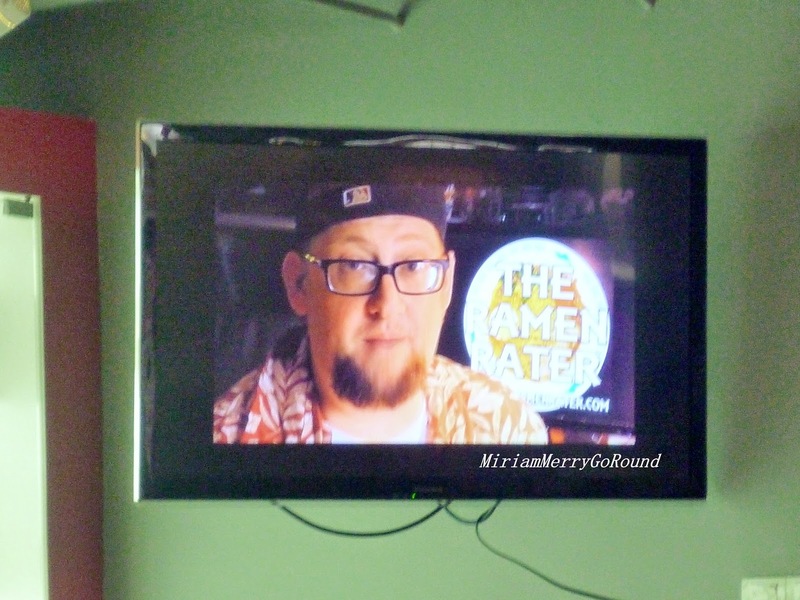 Mamee Monster was so distracting that no one wanted to listen to the Manager of Mamee Jonker House! They had to bring Mamee Monster away so that all of us stop taking photos with Mamee Monster and concentrate on what the Manager had to say. 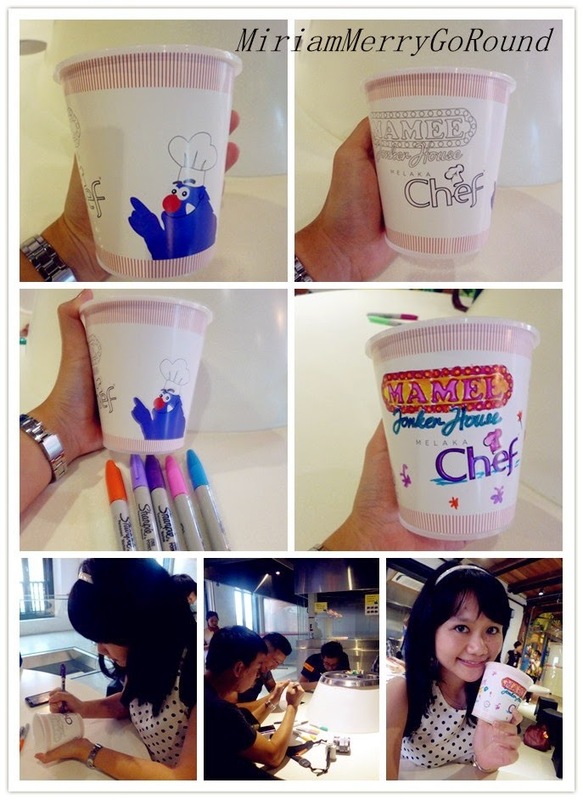 At Mamee Jonker House you can also customize your Mamee Chef Cup at the second floor. 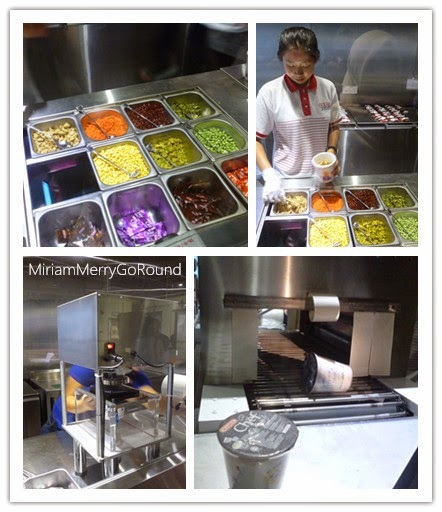 You are provided an empty cup where you can draw and color on the cup before choosing your favourite condiments! Mamee Jonker House also has Monster Kitchen where you can have a three hour class for just RM 10 to learn how to make your own noodles! 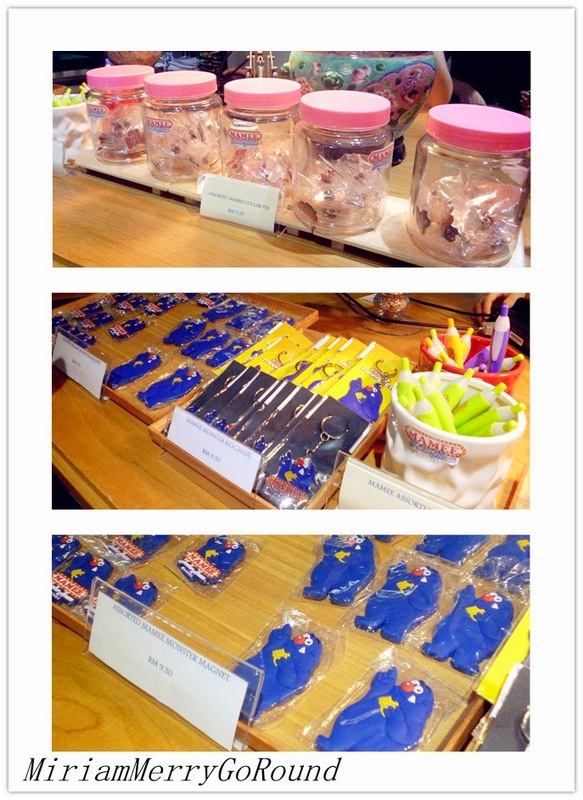 Do make a reservation if you are interested so that they can prepare all the necessary stuff for your class. A minimum of 6 people are needed for each session. There are also tons of props and wall art that you can have your very own photo session at Mamee Jonker House! Say Hi to Mister Potato! 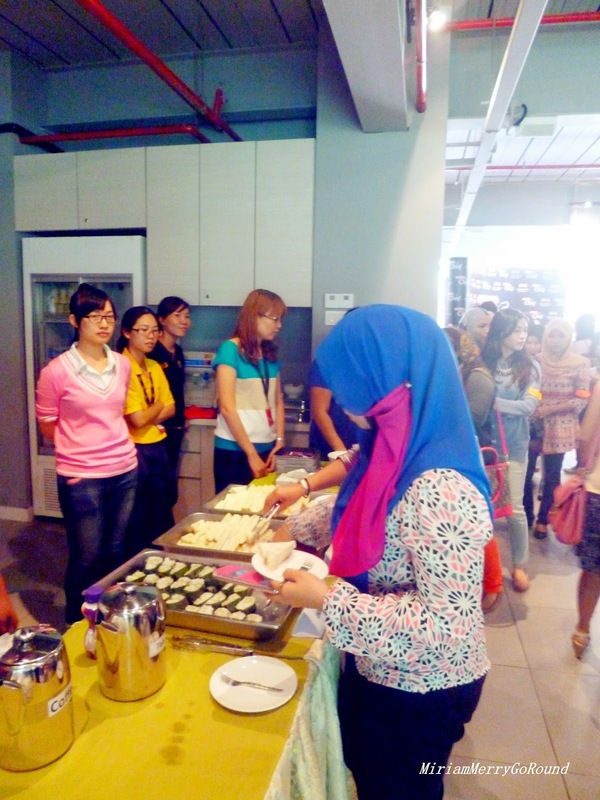 Now remember I was talking about that delicious chicken rice ball served during lunch? Now attention to all those looking for Halal Chicken Rice Ball at Malacca! 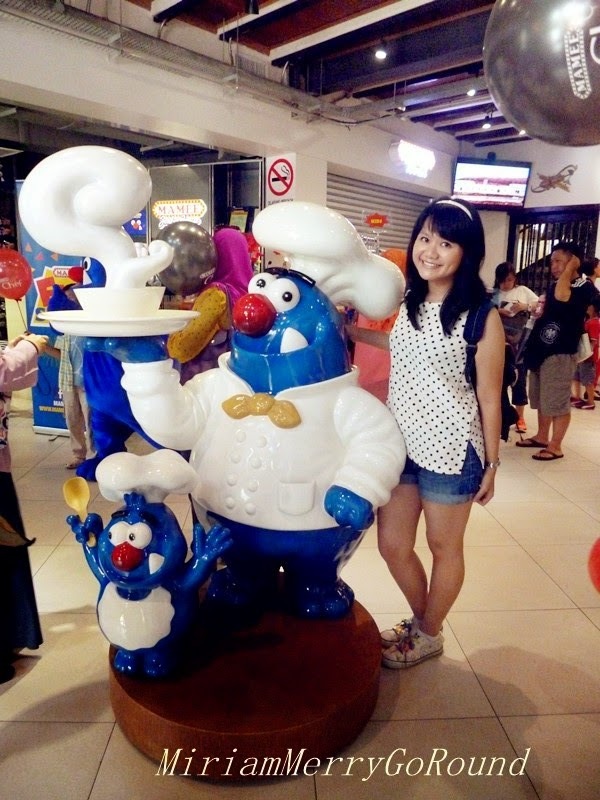 Mamee Double Decker has solved your woes by opening a café at Mamee Jonker House that serves Chicken Rice Ball! So the next time you are in Malacca, don’t forget to stop by Mamee Jonker House to check out their museum and customize your own Mamee Cup! Try their delicious food as well that is suitable for all. 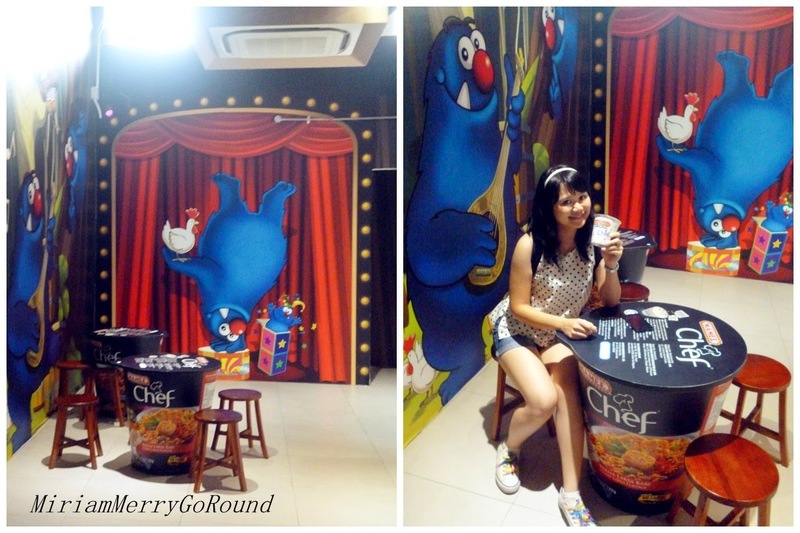 You may even get the chance to meet Mamee Monster himself! 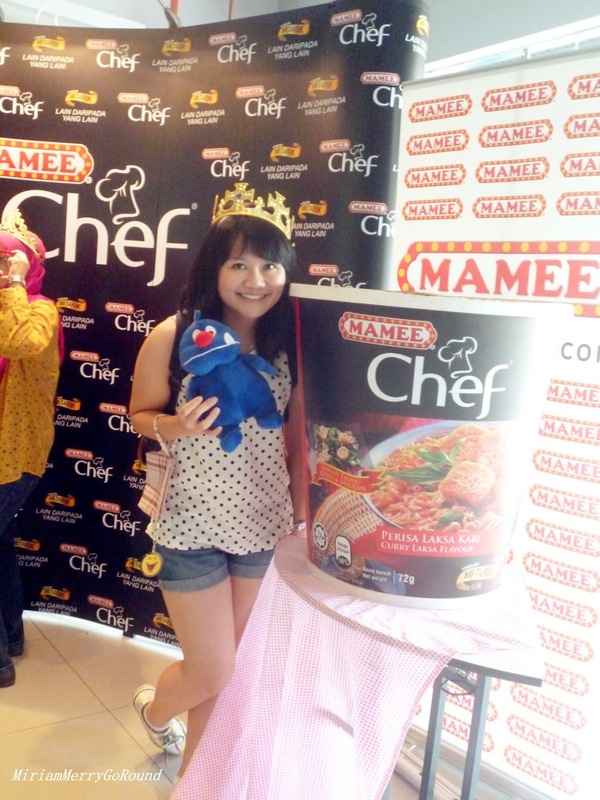 Overall, thanks so much to Nuffnang and Mamee Double Decker for giving me the opportunity to learn more about the process of making the delicious Mamee Chef and also Mamee Monster Snacks! I know understand the passion and quality in every Mamee Chef I enjoy.